Will the UK be a Vassal State during the Implementation Period? On 24 Jan 2018 the Rt Hon David Davis MP, Secretary of State for Exiting the European Union, gave evidence to the House of Commons Select Committee on Exiting the European Union. You can follow the proceedings on the parliamentlive.tv player. 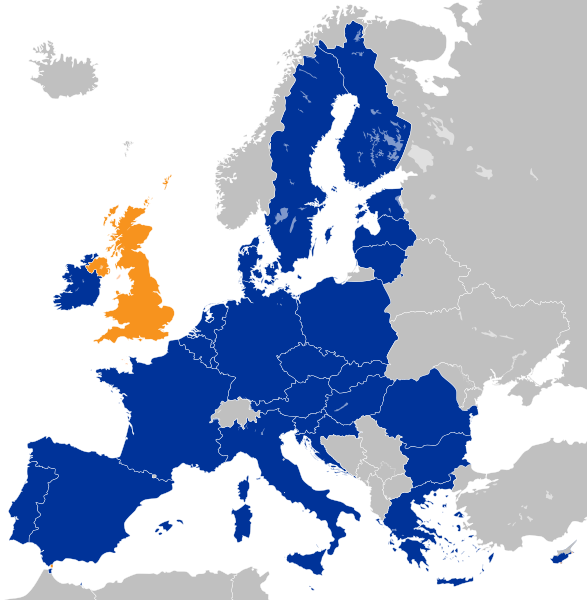 At about 10:40 Mr Jacob Rees-Mogg asked the Secretary of State whether he would agree that between 23:00 on the 29 March 2019 and the 31 Dec 2020 the United Kingdom would be a vassal state of the European Union. Of course, Mr Davis did not agree but I did not find his reasoning particularly convincing and neither (so it would appear) did Mr Rees-Mogg. Indeed, I have seen at least one newspaper report that even Sir Nick Clegg agreed with Mr Rees-Mogg on that point. As I remarked in Sur Le Pont David Non ...... Mr Davis's "Bridge 26 Jan 2018, I don't agree with Mr Rees-Mogg on much but it is hard to disagree with his description of a status by which we shall be subject to laws of which we shall have no part in making. That was only the first of several questions that Mr Rees-Mogg asked Mr Davis about the negotiations and Mr Davis's answers to the other questions were less than convincing. Mr Davis looked very uncomfortable throughout Mr Rees-Mogg's questioning. Now Mr Davis is not an unintelligent man. He must have anticipated that line of questioning. Why, then, did he put himself through that ordeal? I think at least part of the answer lies in an undated letter to business leaders that Mr Davis signed together with the Chancellor of the Exchequer and the Secretary of State for Business, Energy and Industrial Strategy which appeared on the Department for Exiting the EU's website on 26 Jan 2018. In that letter the ministers acknowledged that many businesses need time to adjust to the terms of the UK's new relationship with the EU and to put in place new arrangements. This is why the UK’s and EU’s access to each other’s markets should continue on current terms, so that there will only be one set of changes at the end of the implementation period. It is hard to deny that the UK will be a vassal state during the implementation period but if that is what it takes to maintain business confidence, then so be it. The representatives of the governments of the 27 remaining member states have now agreed Supplementary directives for the negotiation of an agreement with the United Kingdom of Great Britain and Northern Ireland setting out the arrangements for its withdrawal from the European Union and they are substantially on the lines mentioned in Sur Le Pont David Non ...... Mr Davis's "Bridge". The Commission has warned the British negotiators that there can be no backsliding from the Christmas agreement. Also, Monsieur Barnier has noted in his press statement on the adoption of negotiating directives on transitional arrangements that the withdrawal negotiations are not yet settled and that "sufficient progress" does not mean "full progress". In order to hold us to our promise, the Commission requires us to put them into writing. For that reason the Commission has announced that it will publish in due course a draft legal text of the withdrawal agreement, of which the transitional arrangements shall form part. Should anyone wish to discuss this article or Brexit in general, he or she should call me on 020 7404 5252 during office hours or send me a message through my contact form. Sur Le Pont David Non ...... Mr Davis's "Bridge"
Mr Jacob Rees-Mogg MP has described that as vassal status and while I don't agree with him on much it is hard to disagree with his description of a status in which we shall be subject to laws of which we shall have no part in making. It is the Rt Hon David Davis MP's job to dislodge the remaining 27 EU member states from that position or to sell that deal to the British people if he is unable to shift the remaining states. In a speech in Teesport entitled Implementation Period – A bridge to the future partnership between the UK & EU 26 Jan 2018 the deal selling process appears already to have begun. Mr Davis described the implementation period as a "bridge ....... to our new relationship with the European Union after Brexit." 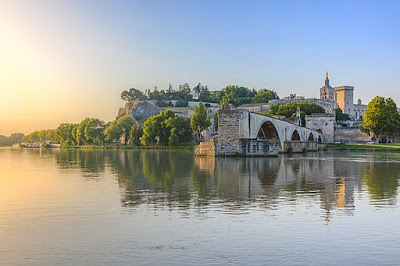 Mr Davis's former colleague, Stephen Dorrell, lambasted that bridge on tonight's Any Questions as a bridge with missing arches and that put me in mind with that famous bridge in Avignon where they lead a merry dance round and round (my translation of On y danse tous en rond). "For such a period to work, both sides must continue to follow the same, stable set of laws and rules. Without compromising the integrity of the single market, and the customs union to which we will maintain access on current terms. Maintaining the same regulations across all sectors of the economy — from agriculture to aviation, transport to financial services, as part of a new international treaty. In keeping with the existing structure of EU rules that will allow a strictly time-limited role for the European Court of Justice during that period. During this implementation period, people will of course be able to travel between the UK and EU to live and work. And as agreed in December, we will fulfil the financial commitments we have made during the period of our membership." "Of course, we will leave the institutions of the Union next March"
But that won't matter because "it usually takes around two full years for major legislation to make its way through the European Union system into law – virtually all of the laws that will come into effect during this time will have been drafted while the United Kingdom was a Member State." Not necessarily, Mr Davis. When the EU wants to do something it can move very quickly indeed. Remember the export bans on British beef after the bovine spongiform encephalopathy outbreak or the livestock movement restrictions to contain foot and mouth disease. It is clear from the slides that the Commission has uploaded to its website on police and judicial cooperation, security, defence and foreign policy, governance, aviation and fisheries that we can expect no special favours as a third country whether during the implementation period or afterwards. Should anyone wish to discuss this article or Brexit in general, call me on +44 020 7404 5252 during office hours or send me a message through my contact form. Both Mr David Davis MP and Monsieur Michel Barnier have been on their travels. Mr Davis to Germany and Monsieur Barnier to Belgium. Both had something to say about Brexit. Mr Davis published an article in the Frankfurter Allgemeine Zeitung calling for a deep and special partnership with the EU which he wrote with the Chancellor of the Exchequer (a translation of which appears on the Department for Exiting the EU website) on 10 Jan 2018. The day before, Monsieur Barnier made a speech at the Trends Manager of the Year event which anticipated and answered the article by Mr Davis and Mr Hammond (see Commission press release Speech by Michel Barnier at the Trends Manager of the Year 2017 event 9 Jan 2018). "As two of Europe’s biggest economies, it makes no sense to either Germany or Britain to put in place unnecessary barriers to trade in goods and services that would only damage businesses and economic growth on both sides of the Channel. So as Brexit talks now turn to trade, the UK will look to negotiate a new economic partnership with the EU – the most ambitious in the world – that recognises the extraordinary levels of interconnectedness and cooperation that already exist between us. When we leave the European Union, we will leave the Customs Union and Single Market, but in agreeing a new model of cooperation, we should not restrict ourselves to models and deals that already exist. Instead we should use the imagination and ingenuity that our two countries and the EU have shown in the past, to craft a bespoke solution that builds on our deeply integrated, unique starting point to maximise economic cooperation, while minimising additional friction. The economic partnership should cover the length and breadth of our economies including the service industries — and financial services. Because the 2008 Global Financial Crisis proved how fundamental financial services are to the real economy, and how easily contagion can spread from one economy to another without global and regional safeguards in place." By publishing that article in an influential newspaper the Secretary of State and Chancellor were appealing to the German public and in particular to those German businesses that have invested in the UK, export a lot of goods to us or hope to raise capital in London. The message is that we are an important market and London is an important financial centre and you wouldn't like anything nasty to happen to either of those, would you? So come on, chaps. Be sensible. Have a word with Mrs Merkel particularly while she needs all the support that she can get to form a government and get her to rein in the attack dogs in the Commission art 50 task force. "There was a time when England's prosperity depended on the wool trade, particularly with Flanders. A reduction in the supply of English or Scottish wool yarn could threaten the jobs of thousands of Flemish artisans. And some centuries later, it was an Englishman, William Cockerill, who imported the first machines for spinning wool to Verviers, in 1799, and then the steam engine to Seraing, making Liège the starting point for the industrial revolution on the Continent." "Today the UK is still an important partner for your country, representing 7 % of Belgian trade in goods." "But, at the same time, 61 % of your trade is with the other Member States of the European Union. Almost 10 times more!" "Our Single Market will still have 440 million consumers and 22 million businesses after the UK's departure." "by continuing to build a 'global Europe', which is preparing to offer our businesses new opportunities to export to Australia and New Zealand." "By officially drawing these red lines, the UK is itself closing the doors, one by one." The British government wants to end the free movement of persons, which is indivisible from the other three freedoms. It has therefore indicated its intention of leaving the Single Market. The British government wants to recover its independence to negotiate international agreements. It has therefore confirmed its intention of leaving the Customs Union. The UK no longer wishes to recognise the jurisdiction of the Court of Justice of the European Union, which guarantees the application of our common rules. It follows that the only model possible is a free trade agreement, which could obviate the need for trade barriers, such as customs duties, and could facilitate customs procedures and product certification. This will of course be adapted to the specificities of the relationship between the EU and the UK, in the same way that our agreement with Canada is not identical to our agreements with Korea or Japan." "A country leaving this very precise framework and the accompanying supervision gains the ability to diverge from it but by the same token loses the benefits of the Internal Market. Its financial service providers can no longer enjoy the benefits of a passport to the Single Market nor those of a system of generalised equivalence of standards." As Monsieur Barnier added, it is not a question of punishment or revenge but a trading relationship with a country that does not belong to the European Union can never be frictionless. Anyone wishing to discuss this article or Brexit in general should call me on +44 (0)20 7404 5252 during office hours or send me a message through my contact form. On 17 Dec 2017 Daniel Alexander QC, Chair of the Intellectual Property Bar Association, together with the Chair of the IP Law Committee of the Law Society of England and Wales and the Presidents of the Chartered Institute of Patent Attorneys, the Chartered Institute of Trade Mark Attorneys ("CIPA") and the IP Federation, signed a memorandum to the Government entitled Intellectual property (IP) law and Brexit Summary of main requests for the UK government a copy of which can be downloaded from the CIPA website (see IP and Brexit - Key Requests to Government). The signatories to that memorandum represent most IP practitioners in the United Kingdom. 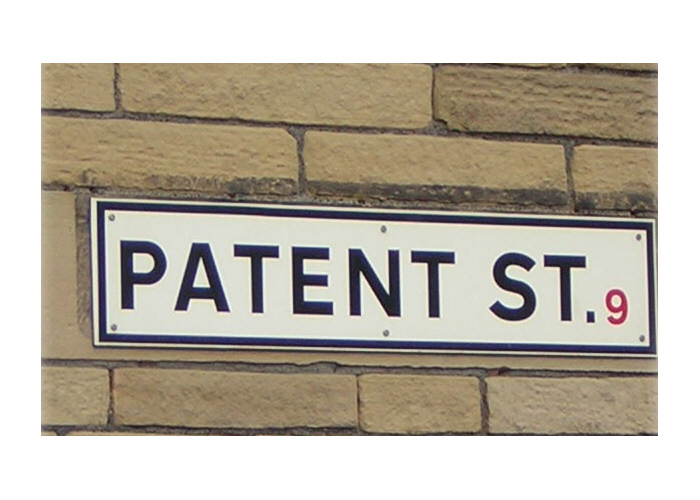 "The UK economy includes successful businesses and organisations operating internationally for which IP is important. Many IP-dependent organisations operate on a regional, or global basis, rather than at a purely UK level. For example, a company may coordinate its European patent or trade mark filing strategy from one key jurisdiction; IP licences are often granted for the whole of the EU; and parties in dispute over IP rights may bring a test case in a leading EU jurisdiction such as the UK, the outcome of which may be commercially persuasive in getting the parties to reach a settlement across the whole of the EU. The UK is at the heart of this and has been for many years." 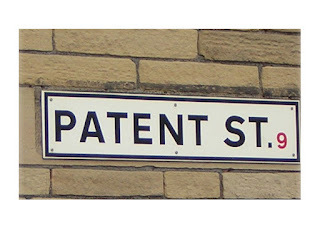 This country is a strong provider of IP services, whether in the areas of protecting intellectual assets, enforcing Intellectual property rights through litigation, or commercializing the products and services that are protected by IP, and it is of clear benefit to the UK economy for that to continue unimpeded. In order for it to do so Mr Alexander and the other signatories urged Her Majesty's government to negotiate a package of rights to secure the continuation of all existing substantive and procedural pan-European rights and defences to them. In other words, the legislation providing for EU trade marks, registered Community designs, unregistered Community design right, database rights, artists’ resale rights, supplementary protection certificates, indicators of geographical origin, and plant breeders’ rights should continue to apply to the UK, designated courts in the UK should continue to be EU trade mark and Community design courts, the orders of EU trade mark and Community design courts in other countries should continue to apply to this country and there should continue to be a right to refer questions of EU law to the Court of Justice of the European Union. If that is not achievable, Mr Alexander and his colleagues advised HMG to legislate for the automatic continuation in the UK of EU intellectual property rights. That might include, for example, the introduction of domestic UK rights (to the extent they do not already exist) that are equivalent to the EU rights, such as unregistered Community designs and protection for geographical indicators as well as protecting EU trade marks, registered Community designs and supplementary protection certificates in the UK by Act of Parliament. The memorandum reminds the government that the Unified Patent Court ("UPC") is one of the most significant developments in IP dispute resolution of recent years, that the UK is central to the project, that HMG has devoted significant financial and human resources to its development and that the participation of British judges and lawyers is widely regarded as critical to the UPC, For those reasons the Agreement on a Unified Patent Court provides for the section of the Central Division of the Court of First Instance dealing with, inter alia, life sciences and chemistry, to be based in London which will benefit of British industry as well as the legal profession. The government is asked to conform its intention to remain party to the UPC Agreement after Brexit and to work with other parties to the UPC Agreement to implement its provisions as soon as possible and make sure there are no legal or practical obstacles to British participation in the UPC and the unitary patent after Brexit. The government should negotiate the continuation of the UPC in London, continued involvement of British judges and continued rights of participation of legal professionals qualified and based in the UK in all parts of the Court’s procedures and on the same terms. Other priorities urged by Mr Alexander and the others is the preservation of the doctrine of the exhaustion of rights even if we leave the single market and customs union, the rights of representation of British lawyers and patent and trade mark attorneys before the Court of Justice of the European Union, the General Court and the EU Intellectual Property Office and the mutual recognition of judgments and jurisdiction that presently exists under the Brussels and Lugano Conventions. Anyone wishing to discuss this memorandum or Brexit in general should call me on +44 (0)20 7404 5252 during office hours or send me a message through my contact form.